A.M. OCA IPI No. 12-201-CA-J, February 19, 2013 - ETHELWOLDO E. FERNANDEZ, ANTONIO A. HENSON AND ANGEL S. ONG, Complainants, v. COURT OF APPEALS ASSOCIATE JUSTICES RAMON M. BATO, JR., ISAIAS P. DICDICAN AND EDUARDO B. PERALTA, JR., Respondents. G.R. No. 151334, February 13, 2013 - CAROLINA (CARLINA) VDA. DE FIGURACION, HEIRS OF ELENA FIGURACION-ANCHETA, NAMELY: LEONCIO ANCHETA, JR., AND ROMULO ANCHETA, HEIRS OF HILARIA A. FIGURACION, NAMELY: FELIPA FIGURACION-MANUEL, MARY FIGURACION-GINEZ, AND EMILIA FIGURACION-GERILLA, AND HEIRS OF QUINTIN FIGURACION, NAMELY: LINDA M. FIGURACION, LEANDRO M. FIGURACION, II, AND ALLAN M. FIGURACION, Petitioners, v. EMILIA FIGURACION-GERILLA, Respondents. G.R. No. 157086, February 18, 2013 - LEPANTO CONSOLIDATED MINING COMPANY, Petitioner, v. THE LEPANTO CAPATAZ UNION, Respondents. G.R. No. 158649, February 18, 2013 - SPOUSES QUIRINO V. DELA CRUZ AND GLORIA DELA CRUZ, Petitioners, v. PLANTERS PRODUCTS, INC., Respondents. G.R. No. 159823, February 18, 2013 - TEODORO A. REYES, Petitioner, v. ETTORE ROSSI, Respondents. G.R. No. 161596, February 20, 2013 - ROBERTO BORDOMEO, JAYME SARMIENTO AND GREGORIO BARREDO, Petitioners, v. COURT OF APPEALS, HON. SECRETARY OF LABOR, AND INTERNATIONAL PHARMACEUTICALS, INC., Respondents. G.R. Nos. 164155 and 175543, February 25, 2013 - FORT BONIFACIO DEVELOPMENT CORPORATION, Petitioner, v. COMMISSIONER OF INTERNAL REVENUE, Respondents. G.R. No. 164662, February 18, 2013 - MARIA LOURDES C. DE JESUS, Petitioner, v. HON. RAUL T. AQUINO,PRESIDING COMMISSIONER, NATIONAL LABOR RELATIONS COMMISSION, SECOND DIVISION, QUEZON CITY,AND SUPERSONIC SERVICES, INC., Respondents. ; G.R. NO. 165787 - SUPERSONIC SERVICES, INC., Petitioner, v. MARIA LOURDES C. DE JESUS, Respondents. G.R. No. 168703, February 26, 2013 - RAMON G. NAZARENO, Petitioner, v. MAERSK FILIPINAS CREWING INC., AND ELITE SHIPPING A/S, Respondents. G.R. No. 166282, February 13, 2013 - HEIRS OF FE TAN UY (REPRESENTED BY HER HEIR, MANLING UY LIM), Petitioners, v. INTERNATIONAL EXCHANGE BANK, RESPONDENT. - G.R. NO. 166283 - GOLDKEY DEVELOPMENT CORPORATION, PETITIONER. VS. INTERNATIONAL EXCHANGE BANK, Respondents. G.R. No. 169677, February 18, 2013 - METROPOLITAN BANK AND TRUST COMPANY, AS SUCCESSOR-IN-INTEREST OF ASIAN BANK CORPORATION, Petitioner, v. HON. EDILBERTO G. SANDOVAL, HON. FRANCISCO H. VILLARUZ, JR. AND HON. 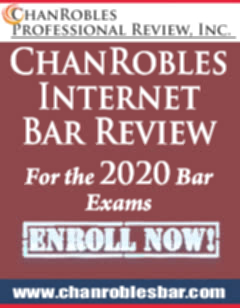 RODOLFO A. PONFERRADA (IN THEIR CAPACITIES AS CHAIRMAN AND MEMBERS, RESPECTIVELY, OF THE SECOND DIVISION OF SANDIGANBAYAN) AND THE REPUBLIC OF THE PHILIPPINES, Respondents. G.R. No. 173357, February 13, 2013 - ROWENA DE LEON CRUZ, Petitioner, v. BANK OF THE PHILIPPINE ISLANDS, Respondents. G.R. No. 173489, February 25, 2013 - ALILEM CREDIT COOPERATIVE, INC., NOW KNOWN AS ALILEM MULTIPURPOSE COOPERATIVE, INC., Petitioner, v. SALVADOR M. BANDIOLA, JR., Respondents. G.R. No. 173987, February 25, 2013 - PADILLA MERCADO, ZULUETA MERCADO, BONIFACIA MERCADO, DAMIAN MERCADO AND EMMANUEL MERCADO BASCUG, Petitioners, v. SPOUSES AGUEDO ESPINA AND LOURDES ESPINA, Respondents. G.R. No. 175369, February 27, 2013 - TEGIMENTA CHEMICAL PHILS. AND VIVIAN ROSE D. GARCIA, Petitioners, v. MARY ANNE OCO, Respondents. G.R. No. 175602, February 13, 2013 - PEOPLE OF THE PHILIPPINES, Plaintiff-Appellee, v. P02 EDUARDO VALDEZ AND EDWIN VALDEZ, Accused-Appellants. G.R. No. 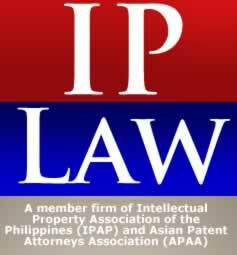 177116, February 27, 2013 - ASIAN TERMINALS, INC., Petitioner, v. SIMON ENTERPRISES, INC., Respondents. G.R. No. 178065, February 20, 2013 - PEOPLE OF THE PHILIPPINES, Plaintiff-Appellee, v. ARNOLD TAPERE Y POLPOL, Accused-Appellant. G.R. No. 179965, February 20, 2013 - NICOLAS P. DIEGO, Petitioner, v. RODOLFO P. DIEGO AND EDUARDO P. DIEGO, Respondents. G.R. No. 180269, February 20, 2013 - JOSE Z. CASILANG, SR., SUBSTITUTED BY HIS HEIRS, NAMELY: FELICIDAD CUDIAMAT VDA. DE CASILANG, JOSE C. CASILANG, JR., RICARDO C. CASILANG, MARIA LOURDES C. CASILANG, CHRISTOPHER C. CASILANG, BEN C. CASILANG, DANTE C. CASILANG, GREGORIO C. CASILANG, HERALD C. CASILANG; AND FELICIDAD Z. CASILANG, MARCELINA Z. CASILANG, JACINTA Z. CASILANG, BONIFACIO Z. CASILANG, LEONORA Z. CASILANG, AND FLORA Z. CASILANG, Petitioners, v. ROSARIO Z. CASILANG-DIZON, MARIO A. CASILANG, ANGELO A. CASILANG, RODOLFO A. CASILANG, AND ATTY. ALICIA B. FABIA, IN HER CAPACITY AS CLERK OF COURT AND EX-OFFICIO SHERIFF OF PANGASINAN AND/OR HER DULY AUTHORIZED REPRESENTATIVE, Respondents. G.R. No. 180677, February 18, 2013 - VICTORIO P. DIAZ, Petitioner, v. PEOPLE OF THE PHILIPPINES AND LEVI STRAUSS [PHILS. ], INC., Respondents. G.R. No. 180882, February 27, 2013 - THE BAGUIO REGREENING MOVEMENT, INC., REPRESENTED BY ATTY. ERDOLFO V. BALAJADIA; CITY ENVIRONMENT AND PARKS MANAGEMENT OFFICE, REPRESENTED BY ITS OFFICER-IN-CHARGE, CORDELIA C. LACSAMANA; AND THE BUSOL FOREST RESERVATION TASK FORCE, REPRESENTED BY ITS TEAM LEADER, VICTOR DICTAG, Petitioners, v. ATTY. BRAIN MASWENG, IN HIS CAPACITY AS REGIONAL HEARING OFFICER, NCIP-CAR; ELIZABETH MAT-AN, FOR HERSELF AND AS REPRESENTATIVE OF THE HEIRS OF RAFAEL; JUDITH MARANES, FOR HERSELF AND AS REPRESENTATIVE OF THE HEIRS OF MOLINTAS; HELEN LUBOS, FOR HERSELF AND AS REPRESENTATIVE OF THE HEIRS OF KALOMIS; MAGDALENA GUMANGAN QUE, FOR HERSELF AND AS REPRESENTATIVE OF THE HEIRS OF GUMANGAN; SPOUSES ALEXANDER AMPAGUEY AND LUCIA AMPAGUEY; AND SPOUSES CARMEN PANAYO AND MELANIO PANAYO, Respondents. G.R. No. 182152, February 25, 2013 - PEOPLE OF THE PHILIPPINES AND MIRIAM RUTH T. MAGSINO, Petitioners, v. PO1 RICARDO P. EUSEBIO, SPO2 ROMEO ISIDRO, AND JOJIT GEORGE CONTRERAS, Respondents. G.R. No. 182431, February 27, 2013 - LAND BANK OF THE PHILIPPINES, Petitioner, v. ESTHER ANSON RIVERA, ANTONIO G. ANSON AND CESAR G. ANSON, Respondents. G.R. No. 183102, February 27, 2013 - MACARIO DIAZ CARPIO, Petitioner, v. COURT OF APPEALS, SPOUSES GELACIO G. ORIA AND MARCELINA PRE ORIA, Respondents. G.R. No. 184487, February 27, 2013 - HON. MEDEL ARNALDO B. BELEN, IN HIS OFFICIAL CAPACITY AS PRESIDING JUDGE OF THE REGIONAL TRIAL COURT, BRANCH 36, 4TH JUDICIAL REGION, CALAMBA CITY, Petitioner, v. JOSEF ALBERT S. COMILANG, Respondents. G.R. No. 184681, February 25, 2013 - GERRY A. SALAPUDDIN, Petitioner, v. THE COURT OF APPEALS, GOV. JUM AKBAR, AND NOR-RHAMA J. INDANAN, Respondents. G.R. No. 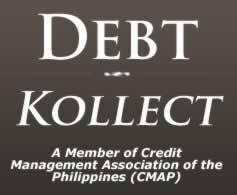 188363, February 27, 2013 - ALLIED BANKING CORPORATION, Petitioner, v. BANK OF THE PHILIPPINE ISLANDS, Respondents. G.R. No. 188849, February 13, 2013 - PEOPLE OF THE PHILIPPINES, Plaintiff-Appellee, v. JONATHAN "UTO" VELOSO Y RAMA, Accused-Appellant. G.R. No. 188969, February 27, 2013 - PEOPLE OF THE PHILIPPINES, Plaintiff-Appellee, v. JOHN ALVIN PONDIVIDA, Accused-Appellant. G.R. No. 193804, February 27, 2013 - SPOUSES NILO RAMOS AND ELIADORA RAMOS, Petitioners, v. RAUL OBISPO AND FAR EAST BANK AND TRUST COMPANY, Respondents. A.M. No. 10-9-15-SC - Re: Request of (Ret.) Chief Justice Artemio V. Panganiban for Re-Computation of his Creditable Service for the Purpose of Re-Computing his Retirement Benefits. G.R. No. 174385 - Republic of the Philippines v. Hon. Ramon S. Caguiao, etc., et al. G.R. No. 182358 - Department of Health, et al. v. Phil Pharmawealth, Inc.
G.R. No. 191644 - Dennis A.B. Funa v. Acting Secretary of Justice Alberto C. Agra, etc., et al. G.R. No. 194578 - Philip Sigrid A. Fortun v. Prima Jesusa B. Quinsayas, et al. G.R. No. 195198 - Loreli LIm Po v. Department of the Justice, et al. ; G.R. No. 197098 - Antonio ng Chiu v. Court of Appeals, et al. G.R. No. 199781 - Licomcen, Inc. v. Engr. Salvador Abainza, etc. A.M. No. MTJ-11-1801 (Formerly OCA I.P.I. No. 11-2438 MTJ), February 27, 2013 - ANONYMOUS, Complainant, v. JUDGE RIO C. ACHAS, MUNICIPAL TRIAL COURT IN CITIES, BRANCH 2, OZAMIZ CITY, MISAMIS OCCIDENTAL, Respondents. G.R. No. 201167, February 27, 2013 - GOTESCO PROPERTIES, INC., JOSE C. GO, EVELYN GO, LOURDES G. ORTIGA, GEORGE GO, AND VICENTE GO, Petitioners, v. SPOUSES EUGENIO AND ANGELINA FAJARDO, Respondents.